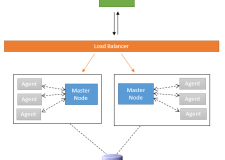 Home / Business Rule Engine / Making Big Data Deliver! Big Data and Data Analytics have proven to be great at building algorithms to predict customer and/or employee behaviour. Dashboards are presenting these findings in sophisticated and easy to understand ways – think big flashing lights! Earlier this year, FlexRule was a sponsor at Gartner Data and Analytics summit. It seemed that nearly every other sponsor was offering ways to accumulate Big Data or Dashboards to display the Big Data. But what no one was offering were ways to leverage the Big Data and Data Analytics learnings. Everyone except FlexRule, of course. When we told people that we don’t do Data Analytics or Dashboards there was almost a sense of relief on their face. When we went further and explained how we turned their Big Data, Data Analytics and Dashboards into business value, that expression became one of great interest. The feedback from the attendees confirmed that there is a gap between the discoveries provided by Big Data and being able to put these into action. A gap that FlexRule fills. Also, Dashboards are like looking at the scoreboard, it tells us how we are doing, but not what to do about it. Especially if the game is over and we lost, too late. Therefore, when it comes to our daily business operations, the question is how can we harness the new business tools of Big Data, Data Analytics and Dashboards to deliver improved business results. A sample scenario is: our Data Analytic engine has predicted, using the developed algorithms, that fifty customers are likely to defect by the end of the month. Our end-of-month Dashboard confirms the accuracy of our Data Analytic Engine and those fifty defected customers. Congratulations – your Data Analytic engine is accurate. But shouldn’t we want to do something in-between? Like try and persuade those fifty customers to stay, before they defect? Or looking at this from a different angle, a brain cannot operate on its own. Artificial Intelligence still needs arms and legs to do the work. Therefore, to deliver on the promise of Big Data, the answer lies across FlexRule’s three layers of capability; Process Robotics, Decision Automation and Data Connection & Composition. Data Connection & Composition collects data from multiple sources in any format and transforms it so that it is ready to be acted upon. Decision Automation runs the developed algorithms to determine what action needs to be taken, and by whom. It is of little value to be the smartest kid in the market if you never leave your room. FlexRule turns the discoveries from Big Data and Data Analytics into actions that deliver business results. It tracks which decisions were made and why, providing more data for machine learning, trace-ability and explain-ability for our Data Analytic tools and Dashboards. This can only be done through FlexRule’s three layers of Process Robotics, Decision Automation and Data Connection & Composition. 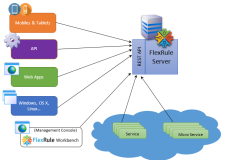 This full set of capabilities sets FlexRule apart by having all the components required for a total digital solution. It fills the gap between Big Data, Data Analytics, Dashboards and creating Business Value.